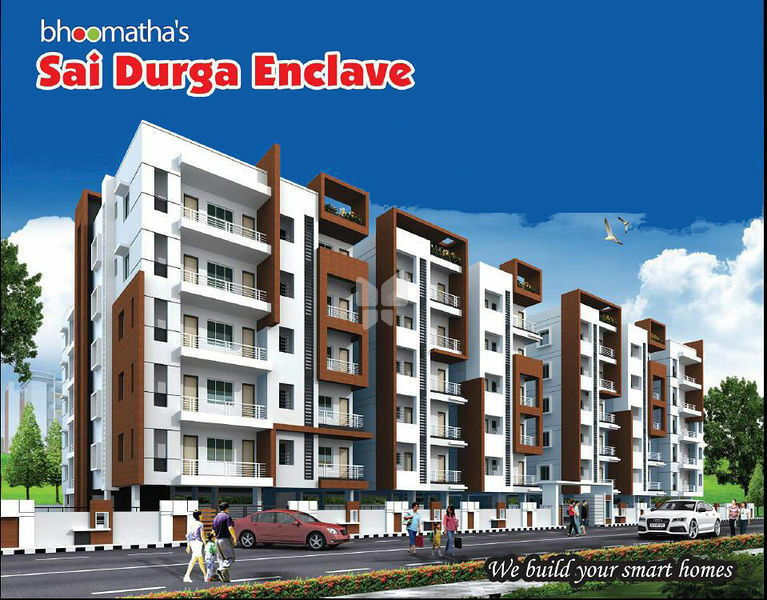 How Far is Sai Durga Enclave? Sai Durga Enclave is a top apartment which is renowned for its luxurious services and beautiful surroundings. The beautiful structure with gorgeous colorful appearance attracts many people towards it. 6 External wall and 41/2” internal wall with quality brick in cement mortar. 100% Vaasthu & sufficient cross ventilation. Smooth plastered surface treated with putty and painted with emulsion. Sand finished plaster surface with weather proof paint of approved make. All doors of the one coat primer two coats of putty and 2 coats of Enamel paint. 2’x2 Vitrified tiles of standard make. 6 height ceramic wall tiles & anti skid ceramic tiles in toilets. Teak wood door frame & shutter. Fitted with good quality hardware & locking system of reputed make. Sal wood flush doors with good quality hardware. Country wood frame with shutters, white pinhead glass and MS Grills. Cooking platform with Granite and Granite Sink with both Drinking & Bore water connecton. Drinking water & 24 hrs. Bore water supply for all flats with overhead tank and under ground sump. Wash basin of standard make. Indian & Western type toilets with Flush Tank of Standard make. Designer wall tile dado upto 6’ height of quality make CPVC Piping of quality make. Provision for Geyser & Exhaust fan. All CP fittings of standard make. 3 Phase power supply for each individual flat. PVC Piping of good quality. Concealed copper wiring of Finolex or equivalent brand. AC Point for all Bedrooms. Power points for Chimney, Microwave, Refrigerator, Grinder in kitchen and Geyser point in Toilets. Modular switches of standard make. 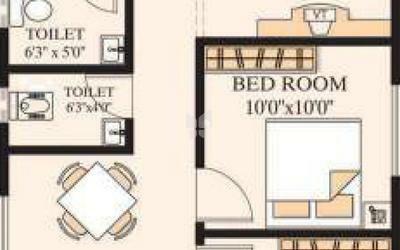 V Provision in Living & Master Bed room. Telephone points in Living & Master Bedroom. 6 passenger lift of standard make, leading to all floors. Generator power for Lift, Borewell and Common Area lighting. Adequate Car Parking is available in stilt floor. Rainwater harvesting pit & Gardening. BHOOMATHA delivers rich-class building construction services. We are pioneers in the infrastructure industry. Continuing our legacy of innovation, we achieve new milestones with every endeavour. BHOOMATHA is responsible for landmark projects that have defined progress of people of Visakhapatnam and of AP with revolutionary projects. BHOOMATHA REAL ESTATES AND DEVELOPERS Pvt. Ltd.is leading Real estate Company which has developed and built a reputation of trust with every project it has undertaken and completed. So far it has over 20 prestigious ventures to present the scenario of profitable investment for everyone that invests here as also to the promoters planting the rich tradition of meticulous transparency in profitable investment for its customers. BHOOMATHA has a strong commitment towards the safety of the people it interacts and has dealings with and hence, we take extreme precaution with every piece of infrastructure we build. We believe in possibilities.